Shellie Rushing Tomlinson, the Belle of All Things Southern, is back with a devotional guide for the Jesus-hungry heart. 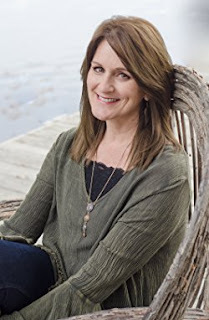 Grounded in scripture and offered in the author’s signature storytelling style, this devotional invites you to God's table for a continual feast. With six prominent themes including Sharing, Needing, Celebrating, Praying, Surrendering, and Being Intentional, you'll be challenged and encouraged to develop God-honoring traits in your spiritual life. A delightful companion book to Tomlinson’s Hungry Is a Mighty Fine Sauce, Devotions for the Hungry Heart features a bonus full-color insert featuring more than a dozen mouthwatering recipes plus photos. You're guaranteed to find nourishment for your body as well as your spirit! Author Shellie Rushing Tomlinson is known for her famous cookbook Hungry Is A Mighty Fine Sauce. If you haven't picked up a copy, I highly recommend. It is a wonderful southern cookbook full of charm, laughter and delicious recipes that you will make all year long. She will make you laugh out loud too! 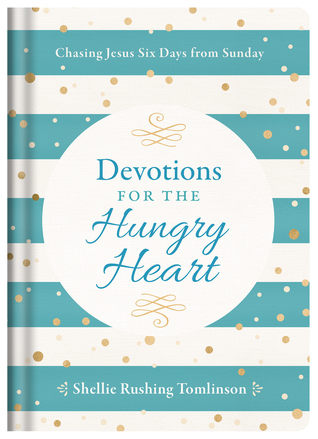 Devotions for the Hungry Heart is a great devotional that isn't like your normal devotional. It is written for twenty weeks with six themes: Sharing, Needing, Celebrating, Praying, Surrendering and Being Intentional. Full of color and even full page colored recipes, this devotional is sure to make you think, grow closer with the Lord and even laugh out loud. The hardest part of the devotional won't be reading it, it will be sticking to it weekly because you will want to read it all at once! I give this book 5/5 stars. I highly recommend that you buy several copies for friends and family members for Christmas. This will be a great devotional to start in the new year. Thank you Wynn Wynn Media for providing a complimentary copy. A favorable review was not required and all reviews are my own opinion.